If you have a subscription to Weekly Readers, you can see the feature they have done on John Hunter’s World Peace Game. How exciting! Look’s like the Weekly Reader has not changed much since we were kids! 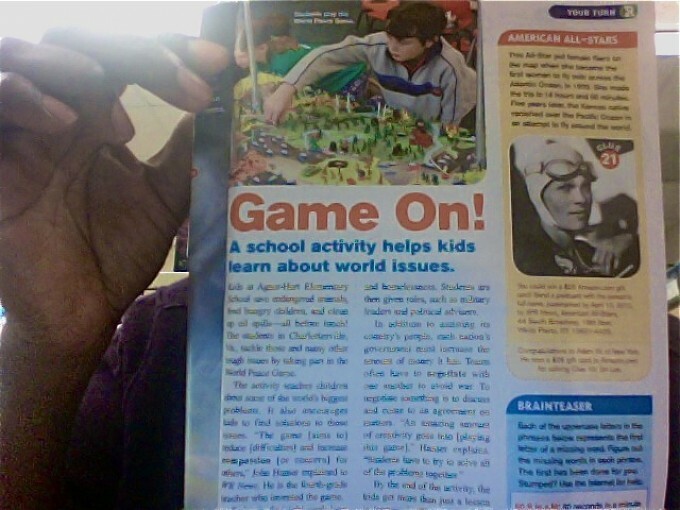 Young readers will enjoy reading about the World Peace Game.